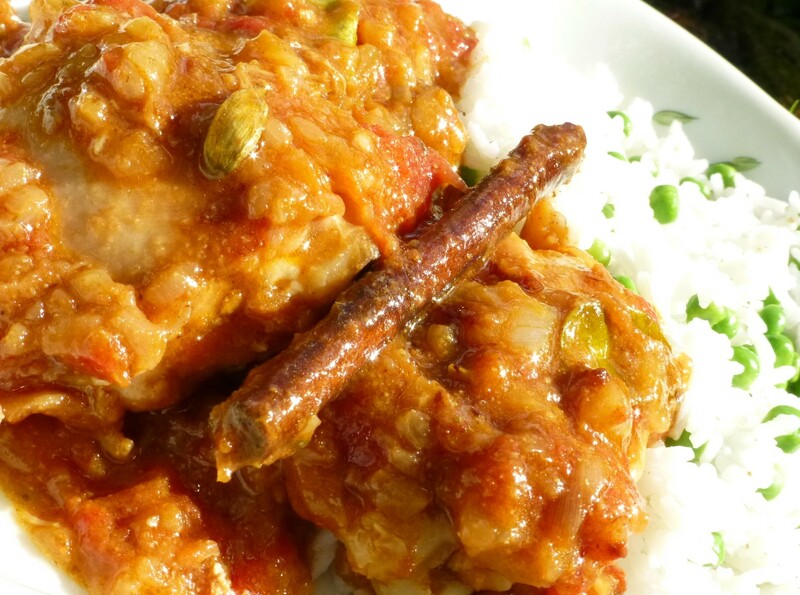 Easy Peasy Supper: Parsi Chicken with Apricots. Time to entertain, but not to slave over an extensive shopping list and hot stove? See more quick and easy ideas by searching ‘Easy Peasy’ in the right hand side bar. 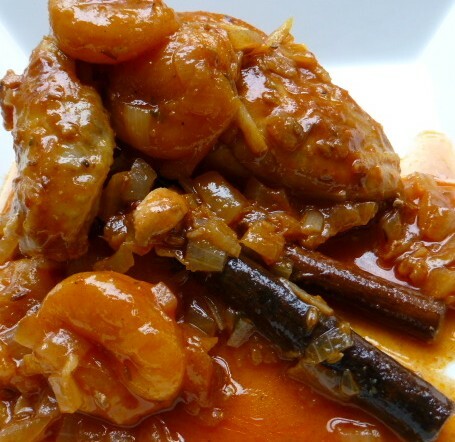 Parsi Chicken with Apricots: A delicately spiced ‘Easy Peasy Supper’. Adapted from Madhur Jaffrey’s Curry Easy, I love this dish. 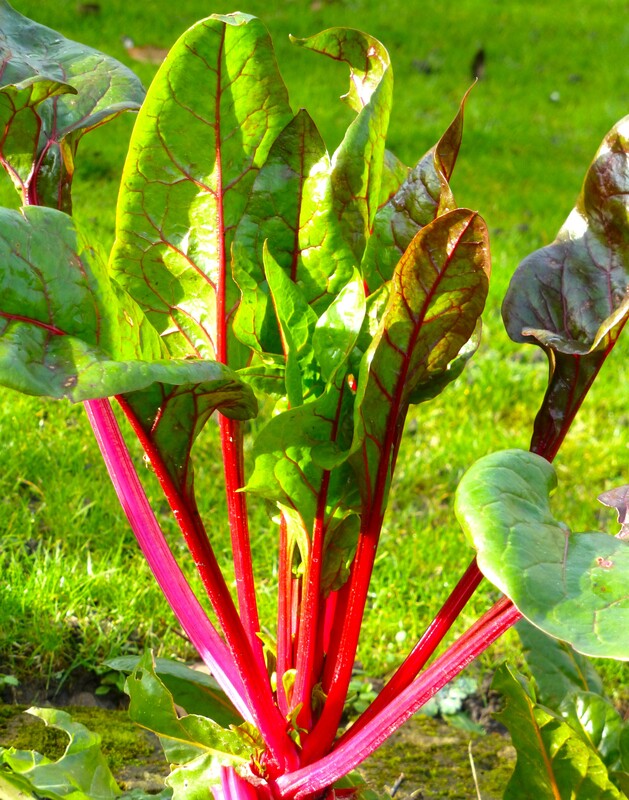 it’s a delicate, no fuss supper which works well with plain rice or potatoes. New Potato, fresh mint and soft-boiled, freshly laid egg salad. India’s Parsi community were driven out of Persia by muslims around the 8th Century and settled on India’s West Coast. At first there were concerns from locals that their country was already over populated. According to tradition, the Parsi’s leader asked for a bowl of milk filled to the brim and a spoonful of sugar. He carefully blended the sugar into the milk, without spilling a drop. This dish is a little sweet, but delicious with it. I’d recommend a fairly bland accompaniment to complement and not overpower the sweet – sour tones. I had some new potatoes and mint that needed trimming, so made a quick salad with soft-boiled, freshly laid eggs… perfect! 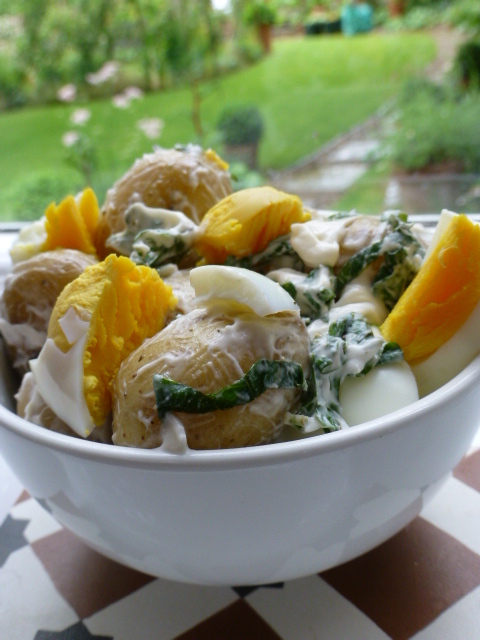 Potato, Mint and Soft Boiled Egg Salad. Recipe adapted slightly from Madhur Jeffrey’s Curry Easy. 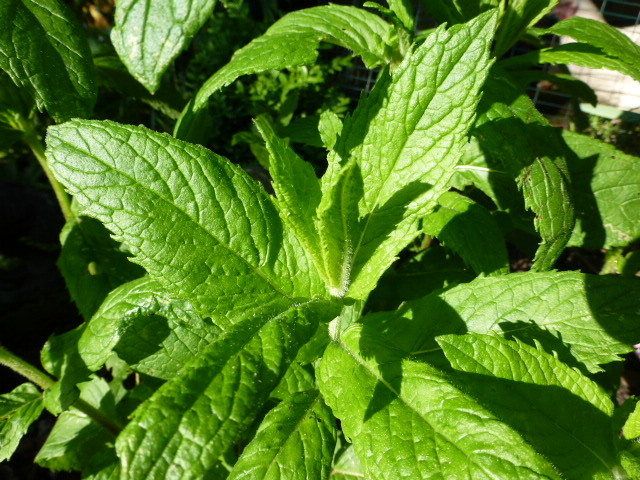 Mint – growing apace in the spring rain! and am so grateful for the tips and advice I’ve been given. I’m off to join you all now. 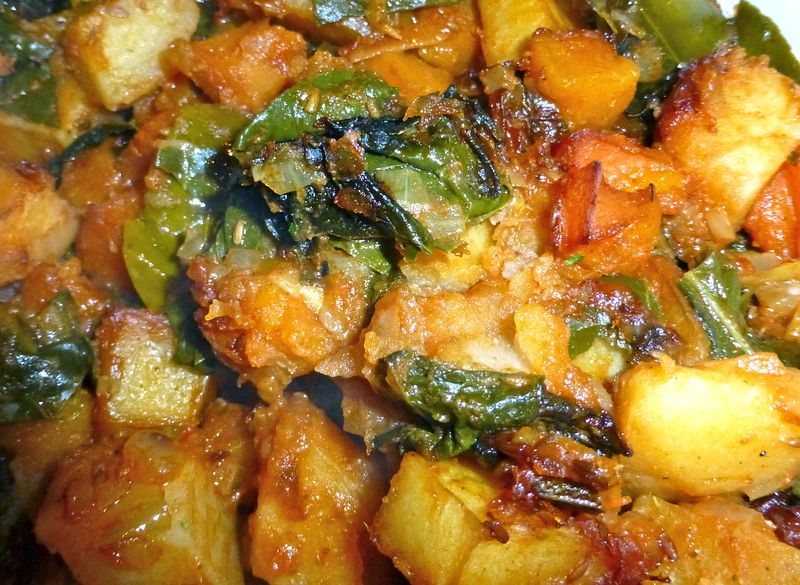 hope you enjoy this dish, and I’m looking forward to trying some of yours! Easy Peasy Supper Chicken & Cardamom Curry. 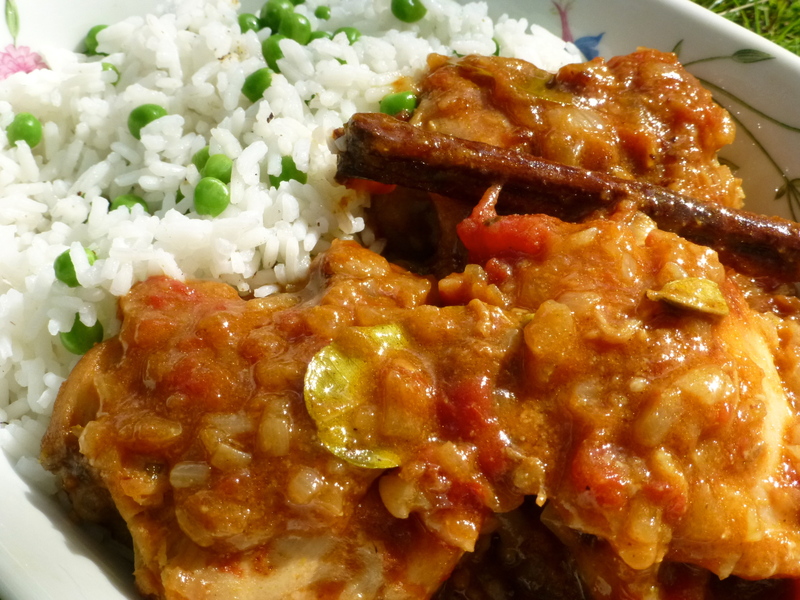 Chicken, Cardamon and Tomato Curry. This delicious recipe fitted the bill perfectly. Although called a ‘curry’, the gentle spices perfume and enhance the flavour of the chicken, rather than being the main feature of the dish & overpowering it. It’s an interesting mix of spices – I thought it sounded rather odd – but am glad I gave it a go! Quick Chicken, Cardamom and Tomato Curry. 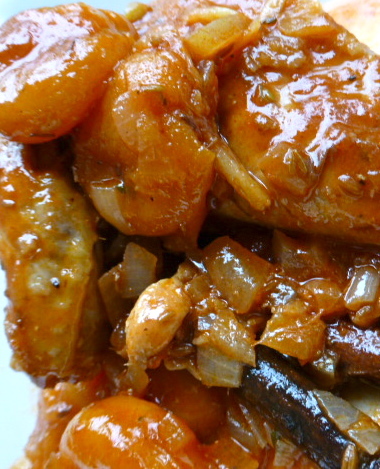 Brown chicken pieces in oil over a high heat, in a wide sauté pan – don’t overfill the pan. When hot, add cinnamon and cardamom. Transfer browned chicken pieces to a bowl. When all pieces are browned, add onions to the pan with the cardamom and cinnamon. Reduce heat to medium and saute until the onion starts to brown lightly. Add the garlic and stir a few times. Then add the coriander, cumin, turmeric (if you dare to use it!) and cayenne pepper. Stir again, then add tomatoes, stirring. Return the browned chicken and juices to the pan, along with the chicken stock. Bring to the boil, cover and cook rapidly over a medium heat for 15 minutes. Remove cover and turn the heat up. Cook, stirring occasionally, until the sauce has thickened. I served with Basmati rice – I added a few leaves from my lime tree to infuse the cooking water, and stirred in some peas at the last minute… simple and delicious! What is your current favourite Easy Peasy Supper recipe?